Facebook has become the new abode for brands and businesses, a favourite among start-ups and one of the cheapest ways to market your brands. The reasons are obvious. Facebook has the largest wealth of users among all Social Media platforms. The fact that it allows brands to create content on it for free makes it the first choice of those wish to use it as a cheap and easy way to market their brands. What’s not so obvious is the fact that the ‘Free’ part of this popular platform has become unashamedly invisible to a large extent. When Facebook pages began, the content you created on Facebook was visible to up to 25% of your fans. When more and more brands started getting on the network, it drastically reduced to 10% in a span of 2 years. Today, it is shockingly down to 1%. So, if we work backwards, to get 10 people to actually buy your product through free Facebook marketing, you need to have an active fan base of at least 100,000! Further, if you rely on building your fan following organically (without using paid ads for generating likes, you may take years to reach your first thousand, with absolutely mind-blowing, potentially viral content. This major shift in the organic reach is affecting millions of businesses that have not cared to give Facebook a good share in their media mix. It’s time to get serious about Facebook. 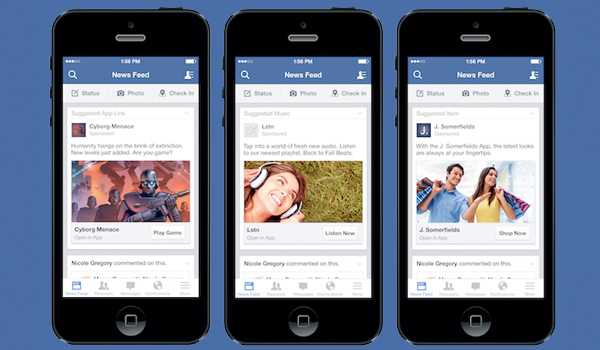 Facebook is undoubtedly less expensive and more efficient than most other traditional media. The fact that it is your gateway to the largest treasure of demographically mapped users from all segments cannot be ignored. Use this treasure-trove to reach the precise audience who would be interested in your product or service through carefully targeted Facebook ads and redirect them to your page, website or landing page. You can also boost your posts to increase individual reach of the content you create on your brand pages. Don’t throw away money on content, without allotting some for advertising. Simply creating great content is not enough. And if you’re paying money to create content but not doing anything (or enough) to make it visible to your audience, you’d rather put it in a bin! It’s like making a great product, but not putting it up on a shelf or shop. Facebook advertising is like the rent you pay to put up a shop at a visible location. To derive real results from Facebook, it’s important to understand the scope of sponsored stories on Facebook and then allot budgets accordingly. A digital Marketing Expert will be able to audit your page and suggest you the right budgets to attain desired visibility and conversions.